As most of you will probably be aware, Liverpool was visited by the Royal Du Luxe Giants in October 2018 and if any of you know me personally, you'll know that I was a little obsessed by them, especially Xolo the dog! 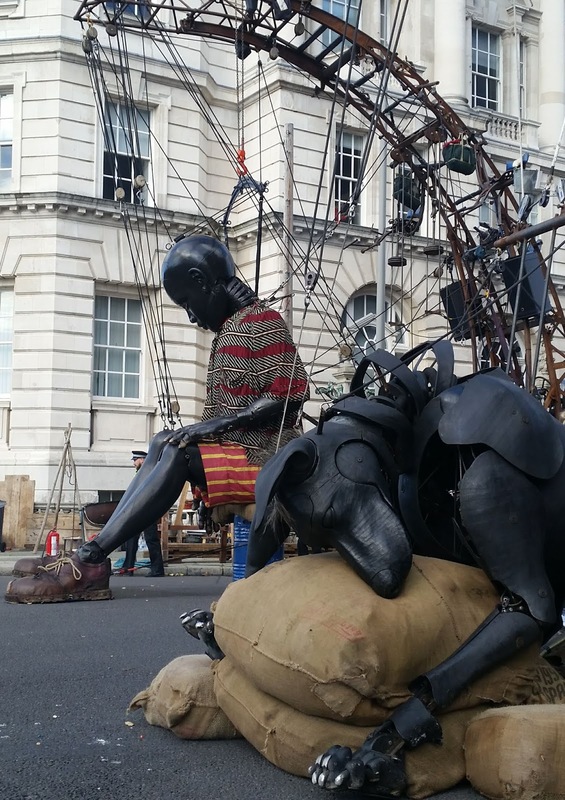 Following the Giants visit, members of the public were asked to submit their photos for inclusion in a photographic book about this latest visit. Out of over 3,000 pictures, 73 from the public were chosen and mine was one of them! But this got me thinking about the chain of events that enabled me to take this picture....and it comes down to being a volunteer! If I hadn't volunteered to walk with the Giants as a Benevol steward, I wouldn't have been able to get behind the barriers and take this amazing picture. Volunteering can get you into lots of great events and organisations, as well as providing you with opportunities that you might not otherwise experience. It can be a way of meeting new friends, learning new skills or just a way of getting out of the house and keeping busy. With the arrival of Universal Credit, if you are on the job seeking elements, volunteering can also be used to account for up to 17 hours of your 35 hours a week job hunting, so it might be worth considering. It can also lead to employment, at GTDT there are currently 5 people employed with us, that started their journey as volunteers. So why not give it a go, you never know where it might lead! If you are interested in volunteering opportunities with GTDT pop in and have a chat or give us a ring on 0151 734 4925. Or if you would like help accessing other opportunities pop into our Job Cafe which runs Monday to Friday 10.00am to 12.00noon.